When using a template to create an email message, each template has a different layout made up of content blocks. 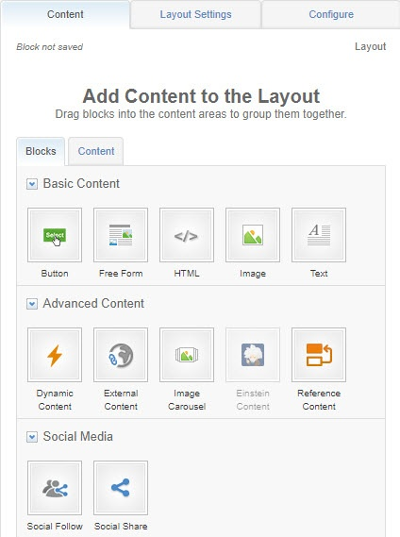 You can change the properties to display the desired number of content blocks and columns. Under the Configure tab, if you have multiple columns in your layout, change the width of the columns and the space between them as desired. When you have finished editing the layout, click Done Editing.